The S.E. 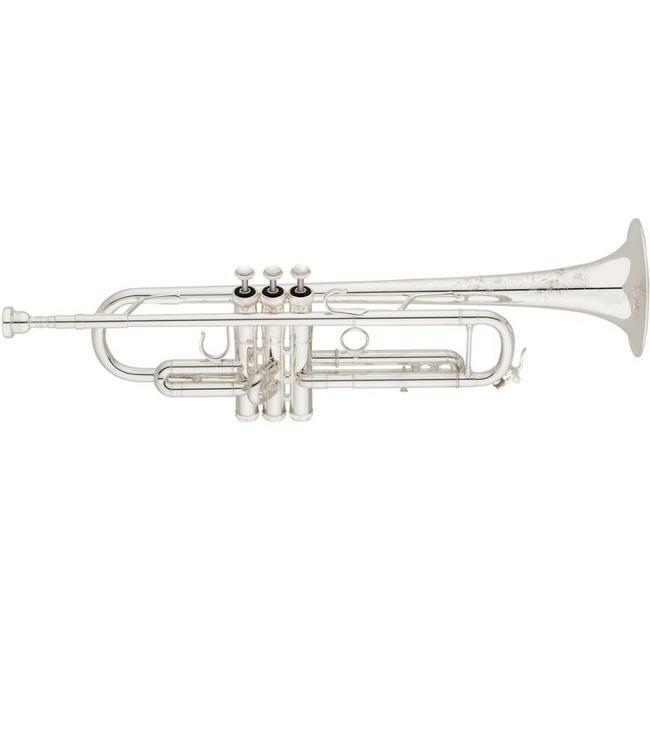 Shires Model CVP Bb Trumpet (C Vintage Paris) represents our closest approximation yet of the pre-war classic that inspired it. Its sound is incredibly versatile—it excels in jazz and commercial playing as well as classical—and it is very easy to play. A unique version of the broadest S.E. Shires trumpet bell taper in a slightly narrower diameter helps it to produce a wide variety of tone colors easily throughout the range of the instrument, with a beautiful, dense core. This special bell, combined with a U5 leadpipe and braced C tuning slide make the instrument's harmonics feel particularly close and fluid. Narrow bracing contributes to the instrument’s superlative response, cleanness, and ease of attack. C Tuning Slide (with brace): semi round, dual-radius bend with standard water key—flexible; responsive and malleable at low volumes, powerful and bold at high volumes.